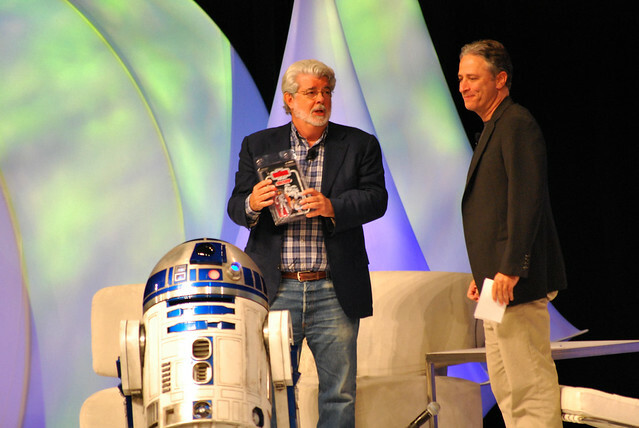 There is a rumor that George Lucas will be creating a new trilogy once the first six Star Wars movies go 3D. This echoes what Lucas did in the 1990s after the original trilogy was first re-released with CGI effects. George Lucas is plotting to create new Star Wars movies at the ultra top-secret Skywalker Ranch. These new film will have nothing to do with the live action television series currently in development. That show already has over 50 scripts ready to go and plenty of pre-production time and money has been spent on artwork and storyboards. Once that show goes into production, Lucasfilm hopes to be able to produce at least 100 episodes. We can expect the new trilogy after the entire saga is released in 3D which is expected to be complete around 2015 or 2016. Also, the trilogy is reported to kick off approximately 24 months after the 3Ding of Return of the Jedi, and the next three episodes, which could be either Episodes 7-9 or 10-12, and the new trilogy could possibly occur as far as 100 years or 1,000 years in the Star Wars universe future.